ACM is a professional lawn mowing business in Melbourne. We offer a range of professional lawn mowing services to homes, apartment blocks, large grounds and acreages across Melbourne’s south eastern suburbs. Our Melbourne Lawn Mowing service suits home owners, businesses and councils, schools and anything else in between. We generally service clients in the South East of Melbourne, but please do call us if you’re outside of these areas as we maybe able to refer you to one of our partners, should we not currently cover your area. If you live in Melbourne then you know having your lawn mowed correctly is extremely important if you want your lawn to look nice. Sure, anyone can buy a cheap lawn mowing equipment to mow their lawn. But getting the “perfect mowed lawn” look isn’t something everyone can achieve. It takes the skill of qualified horticulturist to give you that professional look. AC Maintenance offer a professional landscaping and Mowing Service in Melbourne. 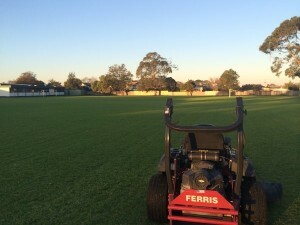 Our Mowing & weeding service in Melbourne’s South Eastern Suburbs, is perfect for Homes, Acreage, Commercial grounds and Body Corporate (owners corporations) who are looking for a hassle free lawn mowing service. We have over 50 years combined experience in Lawn Mowing and Grounds Maintenance. AC Maintenance Lawn Mowing is located in Melbourne’s South. Whether you need your lawn mowed for maintenance or for contacts like body corporate AC Maintenance can help! Unlike many competitors we own the tools to get the job done right the first time. We can even supply and replace your lawn with our turf install service, if the lawn is to far gone. Having your lawns mowed doesn’t need to cost the earth. At ACM Lawn Mowing we provide quality service at a competitive price that is affordable. We have a lawn mowing solution for all budgets. Whether it’s trimming the hedges to new turf, our professional Melbourne gardeners have the right tools for the gardening job. If you’d like a free lawn mowing quote, give us a call to discuss your lawns mowing needs over the phone. 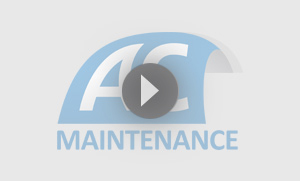 AC Maintenance are a professional lawn mowing company. Contact AC Maintenance for a Melbourne based Lawn Mowing quote today! 5 LAWN MOWING MAINTENANCE TIPS ! 1. It’s imperative to mow your lawn at the right height. We have had to re-sew many lawns in Melbourne that have been cut to short. We understand, you want to save time mowing your lawn. Especially in Melbourne where we can get high rainfall. AC Maintenance know all about the different kinds of grasses and what level to cut your grass. 2. Water your Melbourne Lawn at the right time. When to water your lawn varies from grass to grass. The most common time to water your grass so it gets the most of it, is the morning period. The sun will dry the top layer quickly if it is exposed. 3. Lawns need to eat. Yes that is right. Lawns need to eat. They are plants so they need nutrients other than just sun and water to make them grow perfectly. AC Maintenance has a wide range of nutrients that we apply to the right kind of grass. 4. Pets kill the lawn. If at all possible, you should train your pet to not go on the lawn. If you have a side or area where the pet can go to the toilet this is optimal. It’s hard, we know. But the outcome is well worth it. Who likes a patchy lawn? Too late? Speak to us about how we can fix problem areas. 5. Choose the right lawn for Melbourne weather. Lawns grow differently in Melbourne depending on amount of sunlight, type of soil and many other factors. If you need a new lawn, talk to us about choosing the right turf for your property. We receive real lawn mowing reviews just like these all the time. AC Maintenance lawn mowing service is available at a competitive price in many South Eastern Suburbs. Contact us to today for a quote and price.